Cloud Optimized Rail. The worlds first purpose-driven hand guard that recesses your light/laser controls into your rail and seamlessly integrates your switching for truly optimal ergonomics and enhanced protection as well. CORv1 is compatible with our Optimized Weapon Light or the Light Control System (LSS) for Surefire ST-07. CORv2 is compatible with Light Control System (LCS) for Surefire, the Light Control System (LCS) Streamlight, Surefire SR-07, Surefire DS-07. The B.E. Meyers MAWL and the Steiner DBAL can also be mounted in the recess, should you want to lower those systems as well. Compatible with low-profile gas blocks. 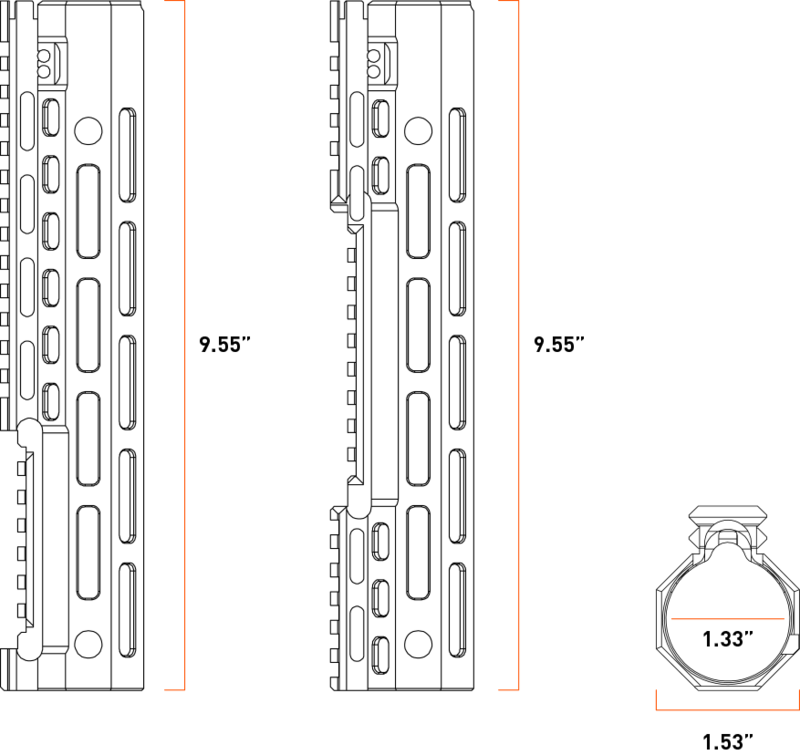 Compatible with both carbine-length gas systems (Direct Impingement) and pistol-length gas systems (Direct Impingement). Not compatible with piston-driven operating systems of any kind. Includes a full BCM Barrel Nut assembly. Plating: Type III “Hard-coat” anodized to Mil-Spec standards. Hand guard thickness: .100 which is thicker than any other we’ve found. That means it dissipates heat well and it means it’s significantly stronger than the competition. M-LOK® compatible for nearly universal accessory mounting. 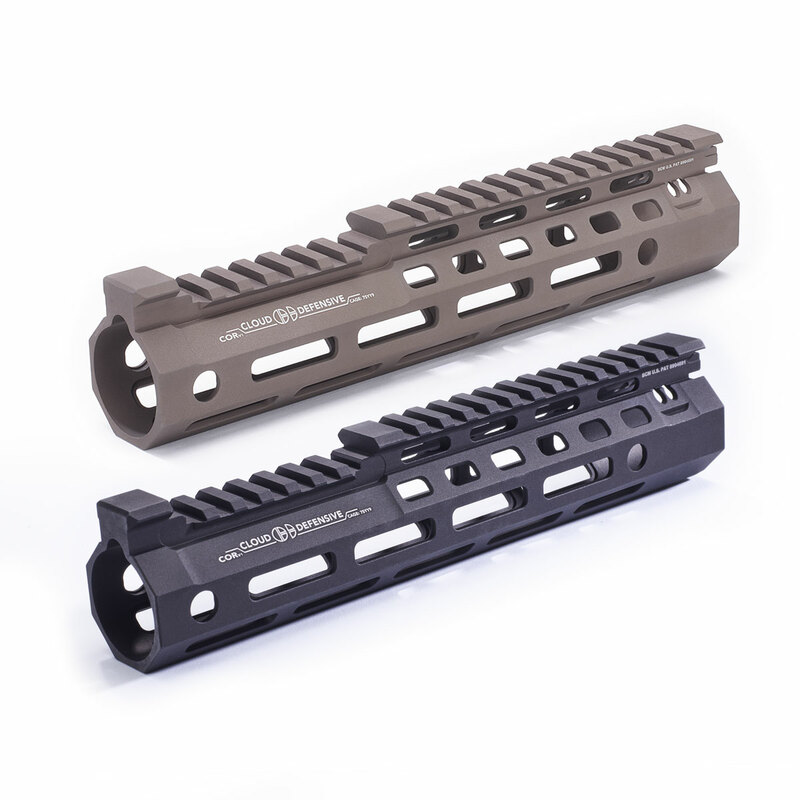 Hand guard length: 9.55” – Optimized for 10.3” and 10.5” barrels. Works just fine with longer barrels. Two QD sling mounts integrated into the rail, on both sides for versatility. Utilizes the Bravo Company USA patented barrel nut assembly, providing a rock-solid lock-up to the receiver with anti-rotation tabs. WEIGHT: CORv1 (OWL and Surefire LCS variant) Weight with barrel nut 9.35 oz. WEIGHT: CORv2 (LCS, Surefire, Streamlight variant) Weight with barrel nut 9.15 oz.